Decoupage is a fun and easy way to repurpose almost any type of vintage or discarded item and transform it into a beautiful decorating accent for your home. We hope you enjoy these decoupage ideas to inspire you to create something beautiful! There are so many great shabby chic decorating ideas to create with vintage and repurposed items! Here are some lovely decoupaged items to use as accents in almost any room of your home! 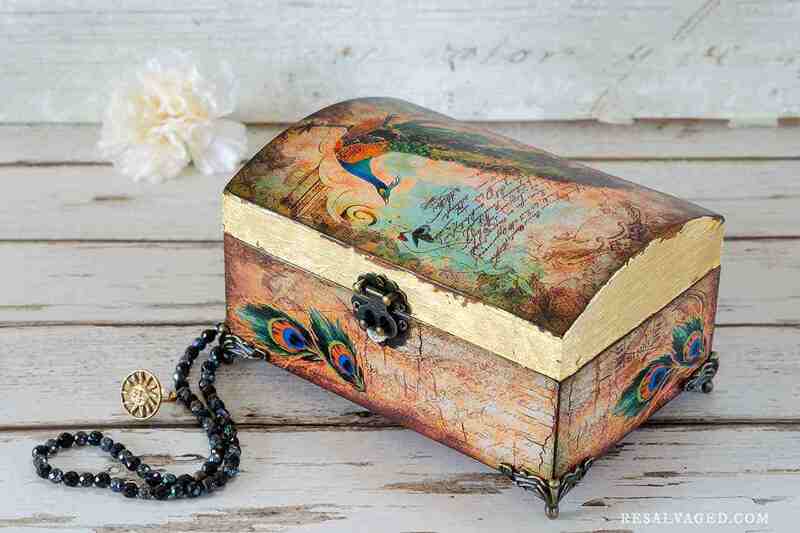 This decoupaged jewelry box is absolutely stunning, featuring crackled paper finishes, peacock feather images and metal hardware. 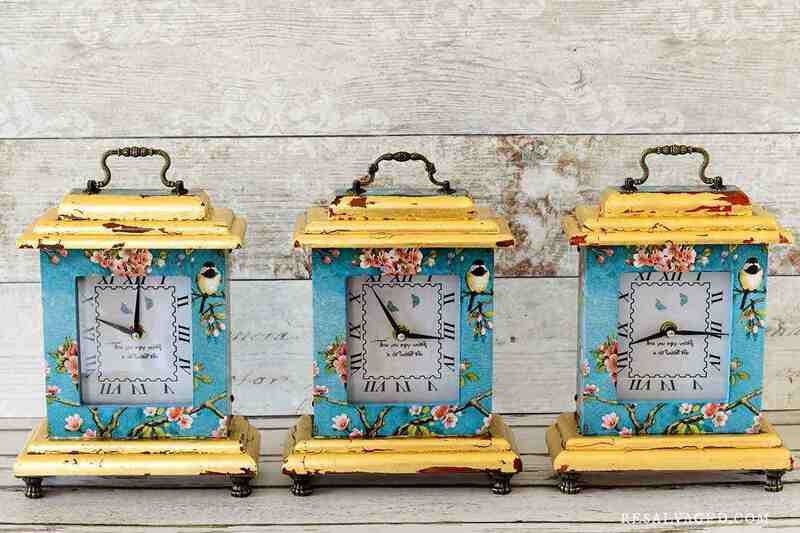 We are also quite in love with these beautiful decoupaged clocks! Crackle paint finish and a mix of floral and bird elements would make these a bright and cheerful pop of color in almost any room! Ever since we wrote our post on how to decoupage wine bottles, we have had a lot of fun finding inspiration from different places. 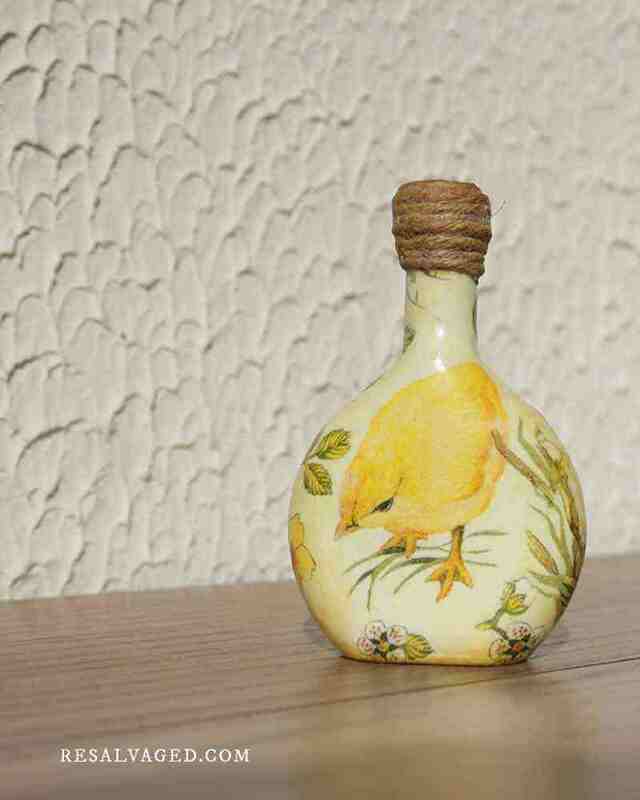 Here are some great decoupage bottle ideas you can be inspired by! How cute is this cheerful bird? The twine wrapped around the top is also a great idea for a way to decorate your decoupaged bottles! This collection of decoupaged bottles offers a lot of inspiration! From hearts to bunnies to chippy paint and more – there’s definitely something here that might inspire you to try painting wine bottles or adding decoupage to your creative reuse bottle projects! This is another beautiful decoupaged serving tray! A little shabby chippy paint and a beautiful image of your choice in the center is easy enough to DIY! I love decoupaging lampshades, and this is a great example of beautiful choices of decoupage papers in the project! 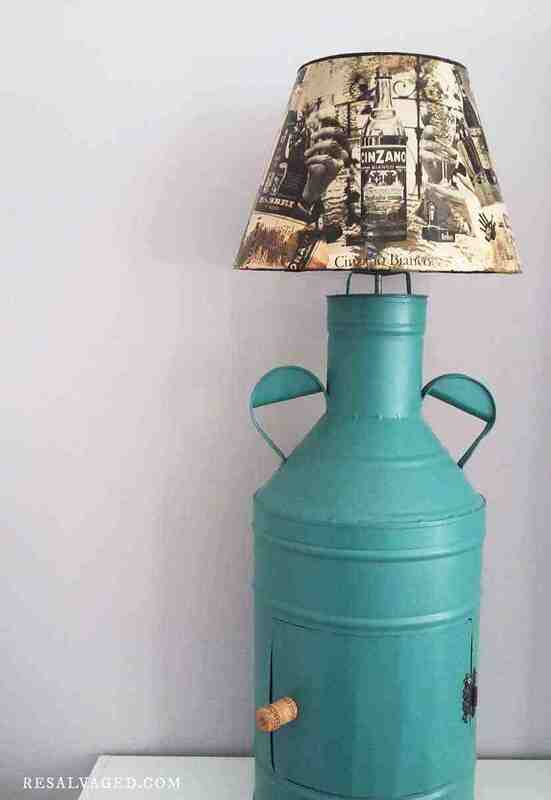 And of course, totally love the creative reuse of an old milk can turned into a functional lamp! What Are Your Thoughts? Share Your Ideas for Decoupage Projects! Do you have any decoupage projects you’d like to share? Which of these decoupage ideas do you love the most? We’d love to hear your thoughts and ideas in the comments section below!